The fifth book in The D’Artagnan Romances. 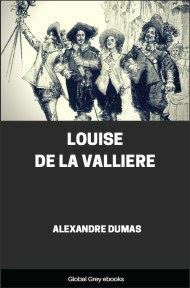 Louise de la Valliere is the middle section of The Vicomte de Bragelonne. 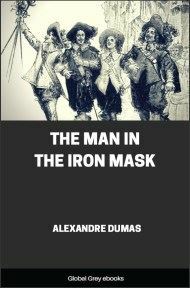 Against a tender love story, Dumas continues the suspense which began with The Vicomte de Bragelonne and will end with The Man in the Iron Mask. 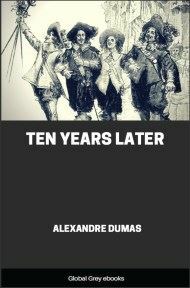 It is early summer, 1661, and the royal court of France is in turmoil. Can it be true that the King is in love with the Duchess D'Orleans? Or has his eye been caught by the sweet and gentle Louise de la Valliere? No one is more anxious to know the answer than Raoul, son of Athos, who loves Louise more than life itself. Behind the scenes, dark intrigues are afoot. Louis XIV is intent on making himself absolute master of France. 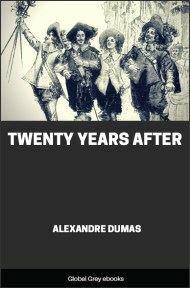 Imminent crisis shakes the now ageing Musketeers and d'Artagnan out of their complacent retirement, but is the cause just? During all these long and noisy debates between the opposite ambitions of politics and love, one of our characters, perhaps the one least deserving of neglect, was, however, very much neglected, very much forgotten, and exceedingly unhappy. In fact, D'Artagnan—D'Artagnan, we say, for we must call him by his name, to remind our readers of his existence—D'Artagnan, we repeat, had absolutely nothing whatever to do, amidst these brilliant butterflies of fashion. After following the king during two whole days at Fontainebleau, and critically observing the various pastoral fancies and heroi–comic transformations of his sovereign, the musketeer felt that he needed something more than this to satisfy the cravings of his nature. At every moment assailed by people asking him, "How do you think this costume suits me, Monsieur d'Artagnan?" 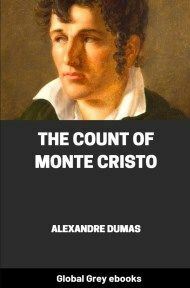 he would reply to them in quiet, sarcastic tones, "Why, I think you are quite as well–dressed as the best–dressed monkey to be found in the fair at Saint–Laurent." It was just such a compliment D'Artagnan would choose where he did not feel disposed to pay any other: and, whether agreeable or not, the inquirer was obliged to be satisfied with it. Whenever any one asked him, "How do you intend to dress yourself this evening?" he replied, "I shall undress myself;" at which the ladies all laughed, and a few of them blushed. But after a couple of days passed in this manner, the musketeer, perceiving that nothing serious was likely to arise which would concern him, and that the king had completely, or, at least, appeared to have completely forgotten Paris, Saint–Mande, and Belle–Isle—that M. Colbert's mind was occupied with illuminations and fireworks—that for the next month, at least, the ladies had plenty of glances to bestow, and also to receive in exchange—D'Artagnan asked the king for leave of absence for a matter of private business. At the moment D'Artagnan made his request, his majesty was on the point of going to bed, quite exhausted from dancing. "Sire," said D'Artagnan, "I leave you simply because I am not of the slightest service to you in anything. Ah! if I could only hold the balancing–pole while you were dancing, it would be a very different affair." "But, my dear Monsieur d'Artagnan," said the king, gravely, "people dance without balancing–poles." 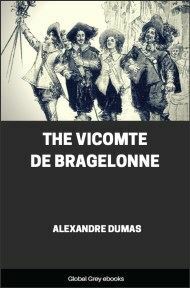 We shall not look for D'Artagnan, therefore, at Fontainebleau, for to do so would be useless; but, with the permission of our readers, follow him to the Rue des Lombards, where he was located at the sign of the Pilon d'Or, in the house of our old friend Planchet. It was about eight o'clock in the evening, and the weather was exceedingly warm; there was only one window open, and that one belonging to a room on the entresol. A perfume of spices, mingled with another perfume less exotic, but more penetrating, namely, that which arose from the street, ascended to salute the nostrils of the musketeer. D'Artagnan, reclining in an immense straight–backed chair, with his legs not stretched out, but simply placed upon a stool, formed an angle of the most obtuse form that could possibly be seen. Both his arms were crossed over his head, his head reclining upon his left shoulder, like Alexander the Great. His eyes, usually so quick and intelligent in their expression, were now half–closed, and seemed fastened, as it were, upon a small corner of blue sky that was visible behind the opening of the chimneys; there was just enough blue, and no more, to fill one of the sacks of lentils, or haricots, which formed the principal furniture of the shop on the ground floor. Thus extended at his ease, and sheltered in his place of observation behind the window, D'Artagnan seemed as if he had ceased to be a soldier, as if he were no longer an officer belonging to the palace, but was, on the contrary, a quiet, easy–going citizen in a state of stagnation between his dinner and supper, or between his supper and his bed; one of those strong, ossified brains, which have no more room for a single idea, so fiercely does animal matter keep watch at the doors of intelligence, narrowly inspecting the contraband trade which might result from the introduction into the brain of a symptom of thought. We have already said night was closing in, the shops were being lighted, while the windows of the upper apartments were being closed, and the rhythmic steps of a patrol of soldiers forming the night watch could be heard retreating. D'Artagnan continued, however, to think of nothing, except the blue corner of the sky. 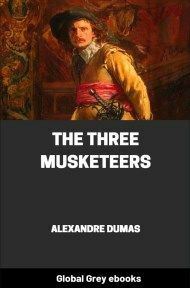 A few paces from him, completely in the shade, lying on his stomach, upon a sack of Indian corn, was Planchet, with both his arms under his chin, and his eyes fixed on D'Artagnan, who was either thinking, dreaming, or sleeping, with his eyes open. Planchet had been watching him for a tolerably long time, and, by way of interruption, he began by exclaiming, "Hum! hum!" But D'Artagnan did not stir.